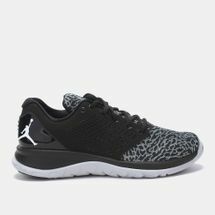 The Jordan Flight Runner 3 Shoes for men are for amateur runners. The shoe enhances your natural running experience with a Flight Flex midsole pattern and a barefoot-like feel. Its dual-density midsole delivers a supportive ride while the mesh wraps make room for on-the-go ventilation.